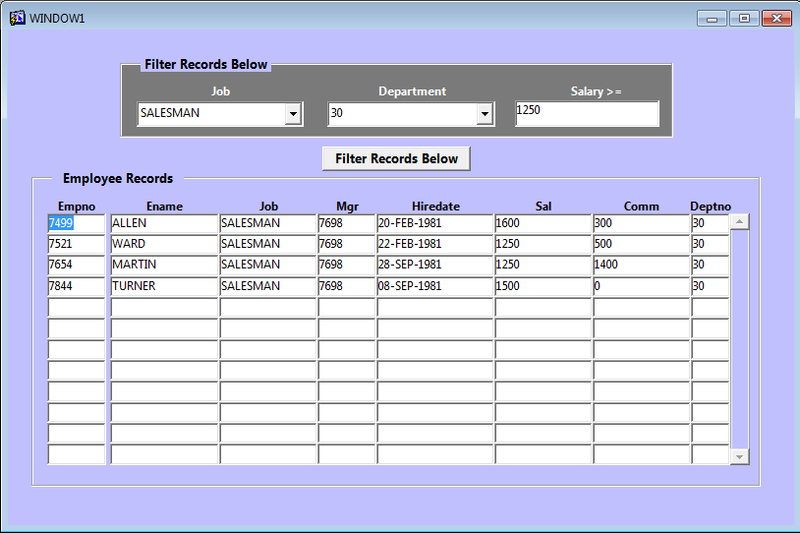 Clear_Block built-in clears all records from the current data block and if the user had made some changes in records which have not been committed, then Oracle Forms processes the records depending on the argument passed to the Clear_Block procedure. Oracle Forms prompts the user to commit the changes before clearing the block. Oracle Forms validates the changes, performs a commit, and clears the current block without prompting the user. Oracle Forms validates the changes and clears the current block without performing a commit or prompting the user. Oracle Forms clears the current block without validating the changes, committing the changes, or prompting the user. Assume that a push button is on a canvas with lable ‘Execute Query’ and whenever user clicks on that execute query button, it clears the block first without prompting to user then re-executes the query. How tobclear the block after commit kindly share the coding?? ?